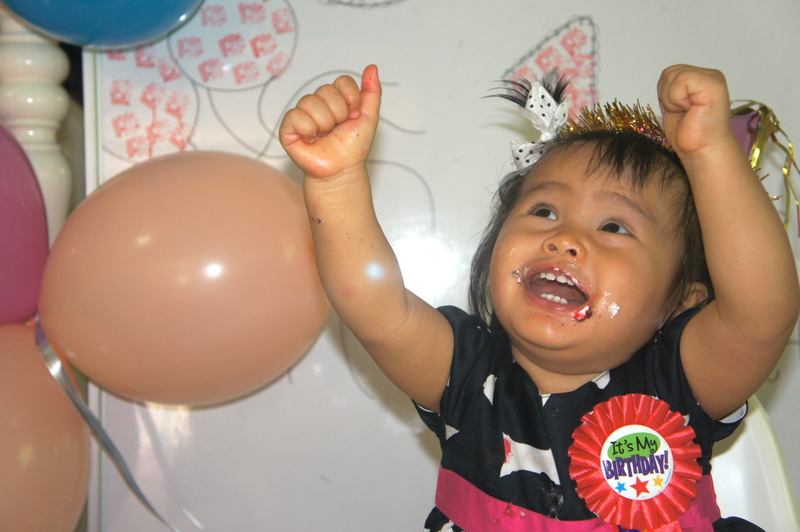 B’s 1st Birthday Party at School! Tomorrow, July 21 is B’s first birthday!! How time flies… She has grown up so quickly, and we tried very hard not to miss her first smile.. first word.. first step..
We have thousands of B’s pictures and videos just to capture all this precious moment. I believe many of you out there feels the same way too. Today, Bella celebrated her first birthday with her friends at school. 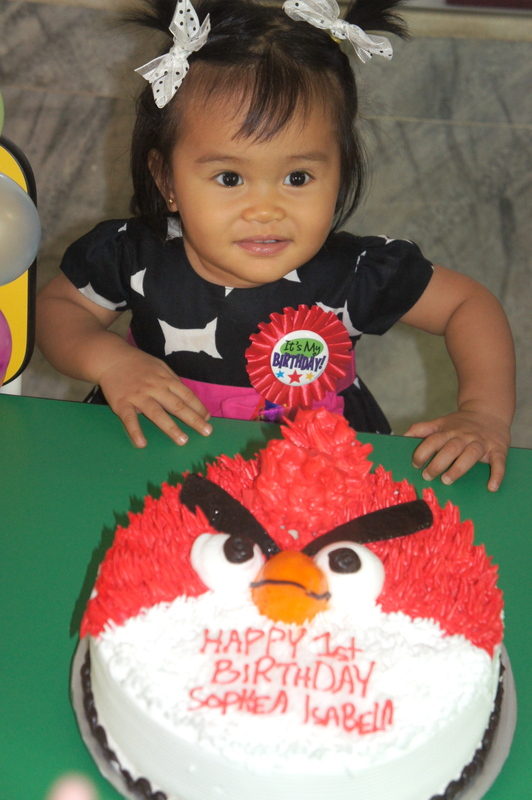 We celebrated earlier because her birthday falls on Saturday, no school on Saturday meh.. Nope, mommy and daddy wasn’t there. Only the kids!! Can you imagine??!! We are not invited to her first party ever!! Hahahha.. But she had a blast at school!! Is she wishing for a big present? Here’s Bella’s classmate.. all tiny little kids sitting together. So adorable! 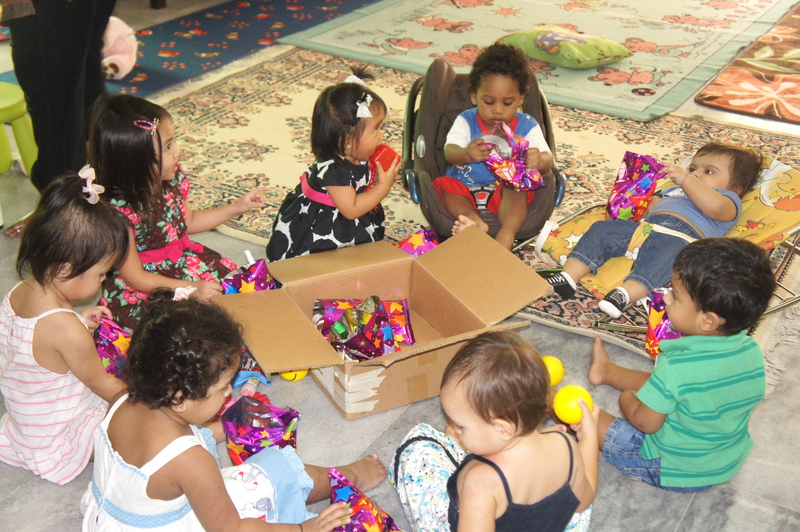 Thanks to B’s teacher who who help us with the small party and taking the pictures..
Posted on July 20, 2012 November 27, 2012 by Dr Halina Mohd YunosPosted in FamilyTagged celebrations. Previous Previous post: She’s a Lady!! happy birthday bella..may Allah bless you..
Wow, B look so girly with the dress n ribbon on her hair..preety lady! And selamat berpuasa to u doc. Selamat Hari Lahir Bella, semoga menjadi anak yang solehah yang membanggakan kedua mummy and Daddy, selamat berpuasa to u sis Lina! 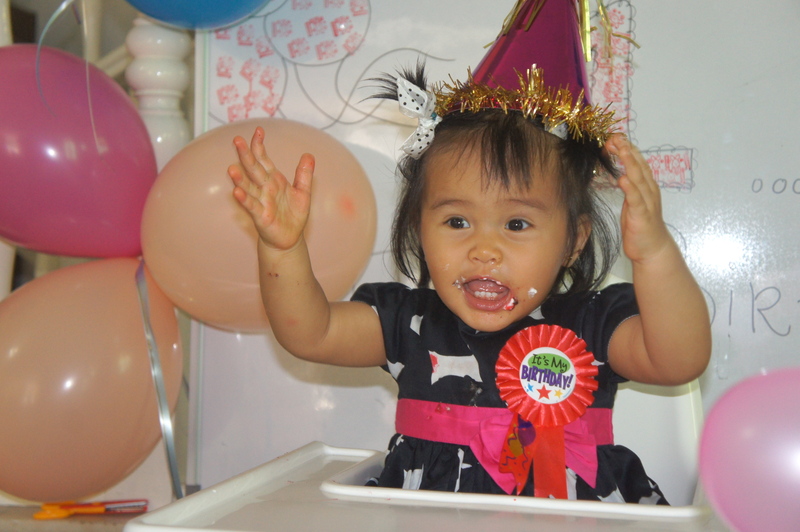 My AdeeNa 1st Birthday is on 23rd july….. Happy birthday cute little Bella! 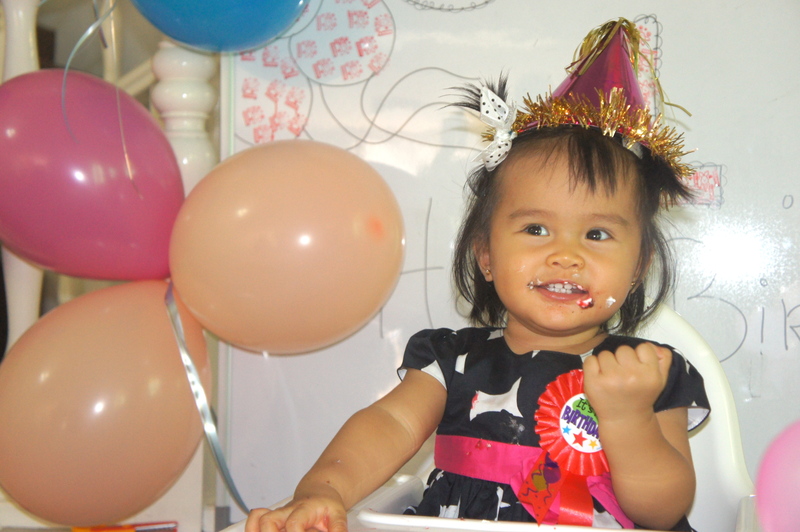 Huggsss..
hppy fes bday bella…be gud girl ok…keep cute! Happy Birthday, Bella!!! You are so cute and adorable!!! Salam doc. So, what FM is bella consuming? Or stil ebm? Salam buat Datin and Baby B!!! 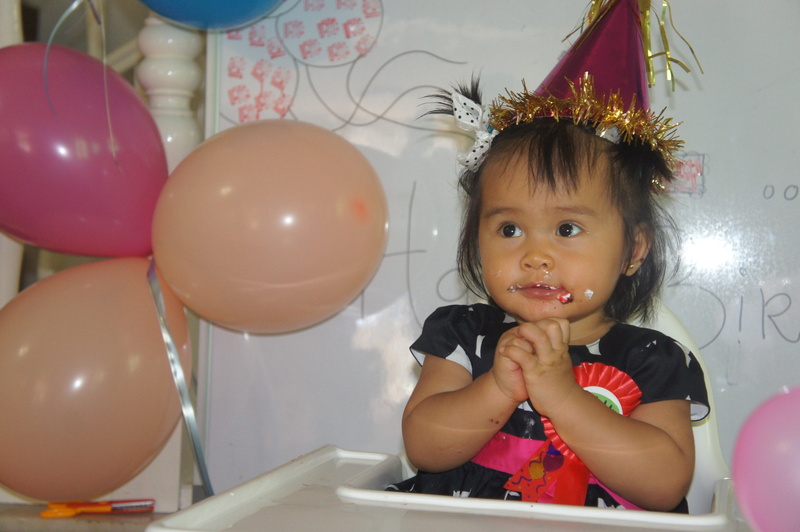 happy belated birthday beloved sophea isabella … huhu dah baca dr entry on friday nak wish cam awal lagi, tiba hari sabtu terlupa lak, hari ni baru teringat ..Bella buat birthday party mommy & daddy not around? 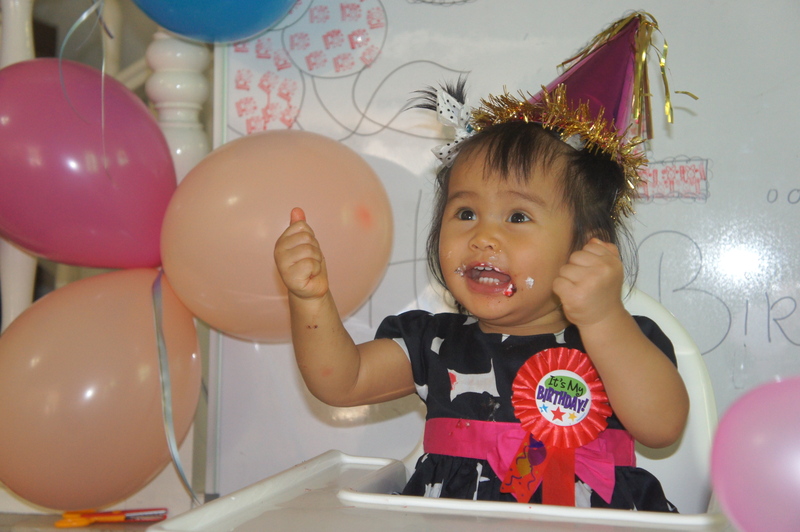 isk isk isk so proud bella is so independent baby at 1 years old, Dr tak buat celebration ngan family members & friends ke? so proud to see Dr dah train bella to school, u tak amik maid ..semoga bella menjadi anak solehah .. emm i dah lama nak cakap this though it’s too late , congrat Dr dah berhijab skg,u look lovely , i pun baru je berhijrah ramadhan last year ..Dr beli tudung kat sugarscarff yeaa, i ada beli sehelai sangat best kan material dia … selamat berpuasa dr..
Well, saje je nak share, last year we had the same month of delivering.hehe..
my expecting date supposedly on 20th July 2012 but but but..my baby Dhia Medina tak ready nak keluar lagi..
Mase i dengar2 mcm2 story keluar pasal u dah bersalin i macam stress la, boleh?hehe..sebab wondering y my baby tak nak keluar2 lagi..lepas tu mcm excited la nk dgr update news from Moms to be on July kan. so with my other two girlfriend yg due on July jugak..but at that time, diorang dah awal2 bersalin both on 22nd July. Helo Dr.H & baby bella..bella, me oso born on 21st July..samalahhh!! !…hope baby bella maintain cute & sihat2 sllu..
lmbtnye sy…ehehe…anyway…sukanya tengok picts bella..especially yg first n last pict tu…^^.,,happy birthday bella!